With just 20 days before the start of San Diego Comic-Con 2012, we wanted to remind you of the fun things going on at the Entertainment Earth booth #2343, along with fantastic Bif Bang Pow! exclusives and product debuts that will be available for sale on the show floor. First up is Dexter. We've got four all-new items supporting the continuing adventures of our Dark Passenger friend from Showtime Network's hit series. 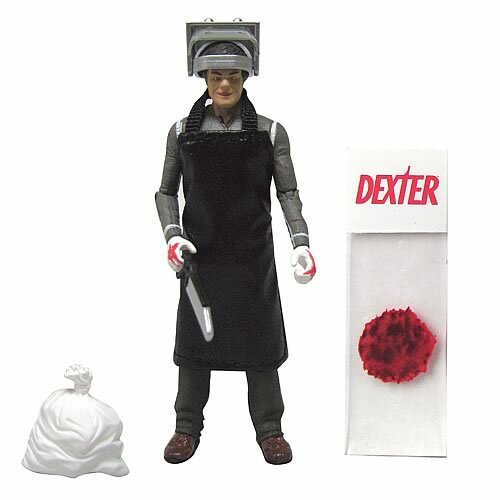 Dexter Dark Passenger 3 3/4 inch action figure is the 3rd Dexter action figure in our 3 3/4inch line. This item features 10 points of articulation, his welder's mask, and an all-new exclusive blood slide. Dexter Dark Passenger bobble head is our newest addition to our bobble head line. There's nothing like Dexter Morgan sporting his handy saw and wearing his trusty apron. 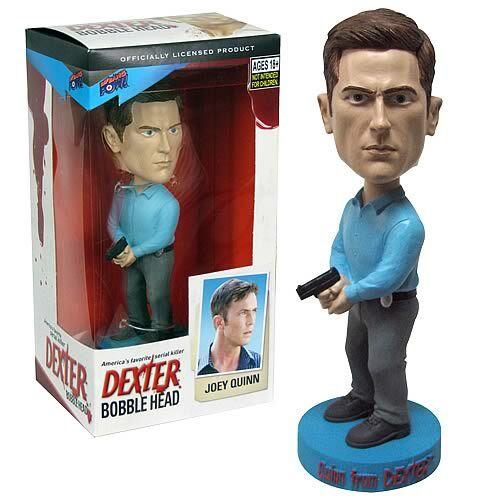 Detective Joey Quinn bobble head is one of the last remaining "main" bobble head characters that makes his debut at Comic-Con. 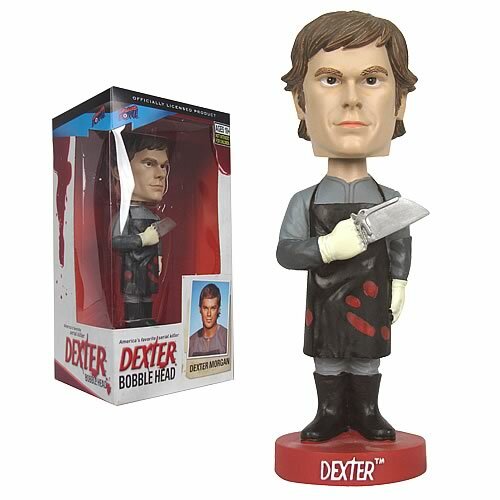 This is a must have for Dexter bobble head collector completists. 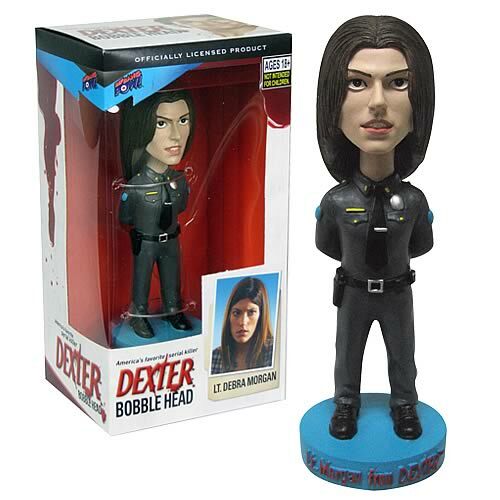 Finally, celebrating Deb Morgan's promotion last season, our Lieutenant Morgan bobble head showcases proud Deb in her police uniform. Don't get caught doing anything illegal in front of her! 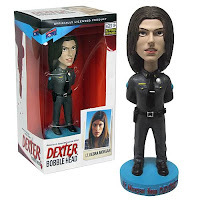 Check sdcc.entertainmentearth.com and bifbangpow.com for more updates! See you in San Diego!